Glicini hotel 4 stars is one of the most elegant and known hotels in Pinerolo, it is an attractive and convenient point of reference for those who want to stay near Turin. The hotel has 53 rooms, all equipped with one bathroom with a shower, hairdryer, toiletries, Satellite TV, minibar, air conditioning, heating, safe, free and unlimited Wi-Fi connection and a telephone. 7 Studio rooms equipped with all services mentioned above. All rooms at Villa Glicini will satisfy your particular requirements in both aesthetic and practical terms. 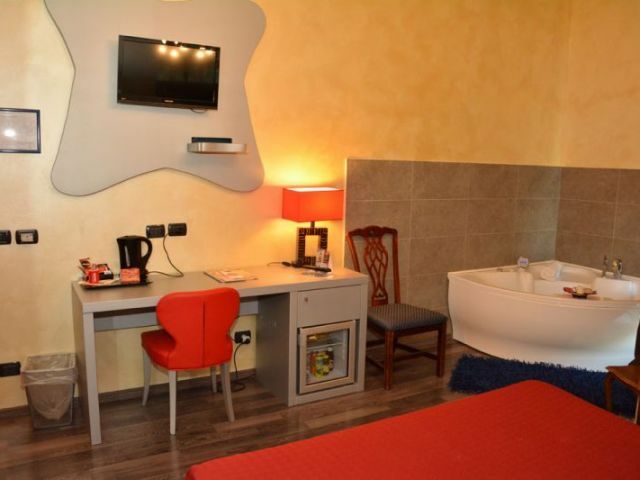 If you are looking for rooms in Turin, Glicini Hotel is your ideal choice.